Doctor Strange: Benedict Cumberbatch Cast as Marvel’s Newest Superhero! In our minds, he was always Doctor Strange. 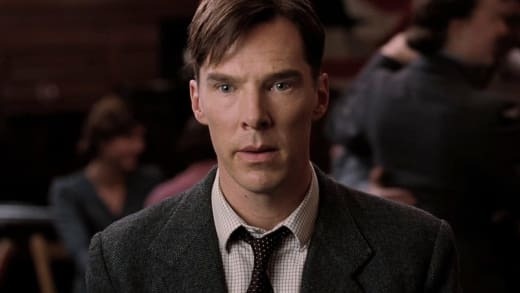 Although many were upset when Joaquin Phoenix dropped out as Doctor Strange, we were thrilled because that meant our pick to play the supernaturally gifted Marvel superhero, Benedict Cumberbatch, could still take the role. Well, guess what? Marvel announced officially today that Cumberbatch would be Doctor Strange for director Scott Derickson. The film firmly sits in the Phase Three of films that was announced when Marvel revealed its plans through 2019, but at that moment they didn’t have anything to announce in terms of casting for Doctor Strange. Doctor Strange is set to hit theaters November 4, 2016 and follows the tale of Dr. Stephen Strange, a neurosurgeon, who survives a terrible car wreck and in the process stumbles on a world of magic and other supernatural elements. “Stephen Strange’s story requires an actor capable of great depth and sincerity. In 2016, Benedict will show audiences what makes Doctor Strange such a unique and compelling character,” Marvel Studio head Kevin Feige said in a statement. Stay with Movie Fanatic for more as this story develops. And it is probably no coincidence that this announcement happened moments after it was revealed that Ryan Reynolds is Deadpool!